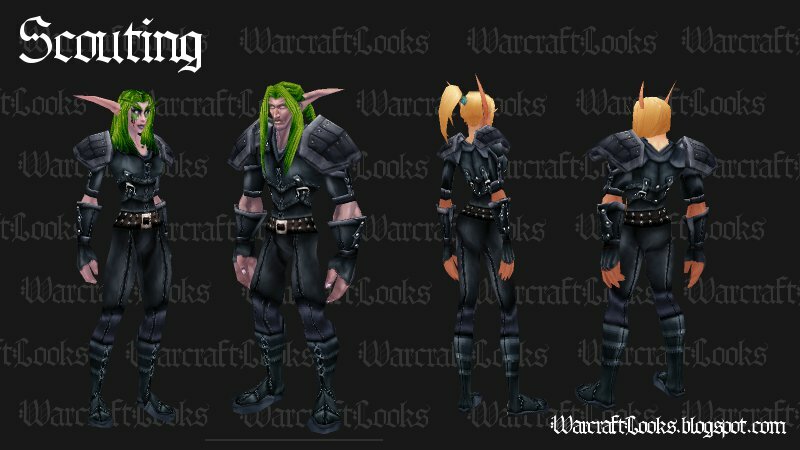 Wowhead News continued their fantastic transmogrification series with a post with numerous links to matching uncommon (AKA "green") items. 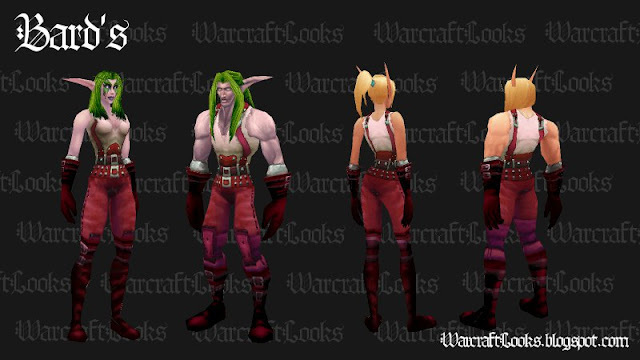 (See "Transmogrification, Part 4: Matching Greens" at Wowhead News) I was fascinated at the variety and quality of some of these sets that we may have passed over in the past due to their low stats. 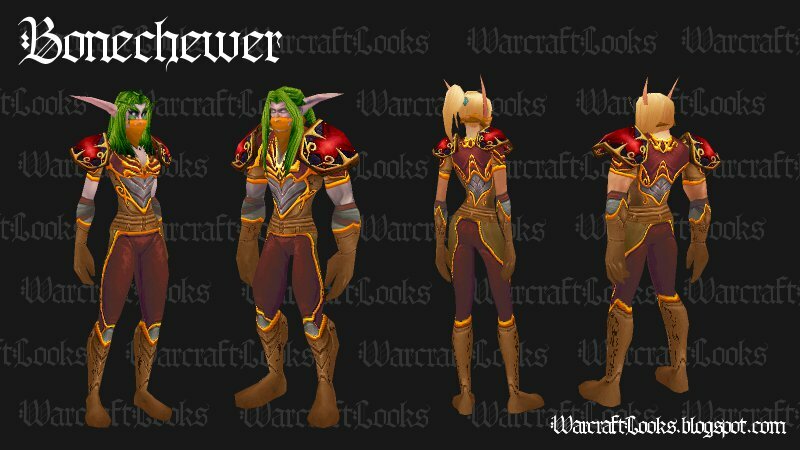 Follow us past the jump we're going to be highlighting some of the most interesting and unique looks among leather uncommon item sets in World of Warcraft. 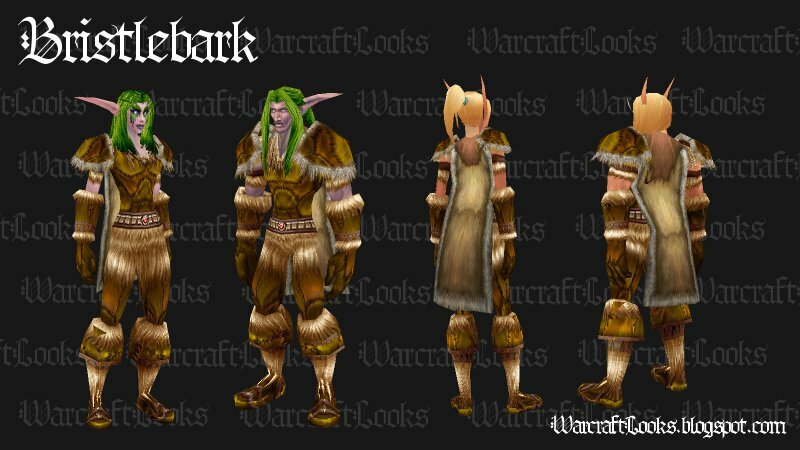 All the items in this post are uncommon (AKA "green" quality) which means nearly all of them are drops from MOBs which are Bind on Equip and can often be found for sale on the auction house. If you don't find all the pieces needed keep checking back. You never know when they may pop up. View in 3D in the Wowhead comparison menu. This level 10-13 set has a fantastic tribal loin cloth look to it. It has lots of teeth/claws detailing it along with brown leather straps and a black fur loin cloth. If you fancy your toon the savage type you could do a lot worse than this set. This level 57 set seems perfect for any Blood Elf rogues (or anyone who wants to look like a Blood Elf) to show their racial price. This set has a clearly Blood Elf motif with lots of gold trim along contrasting muted brows and maroons. The shoulders seem a bit bright for the set though. A very unique looking set compared to the majority of uncommon leather sets. There are some really fantastic looking uncommon leather sets out there. Unfortunately good looking leather sets get harder and harder to come by as the expansions go on. All except the Bonechewer (TBC) come from "Vanilla" World of Warcraft. Perhaps I'm a bit more partial to well thought out sets but as the expansions went along the interestingness of the sets along with the number of different leather sets dropped dramatically. Is there an uncommon leather set that you are fond of that we missed? We'd love to hear about it in the comments. Also we're always accepting screenshots+item list submissions via email (warcraftlooks@gmail.com).